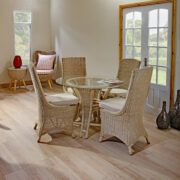 The havana dining chair has a high, curved back that provides comfort and generous back support. 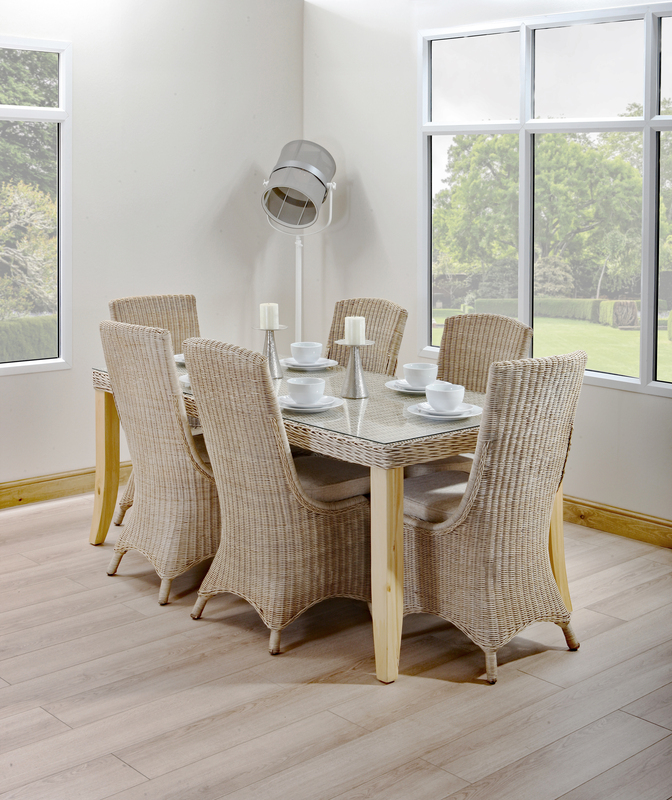 Perfect with the chambray dining tables, the almond patina colour (of both the chair and the tables) provides an elegant finish to your dining set. 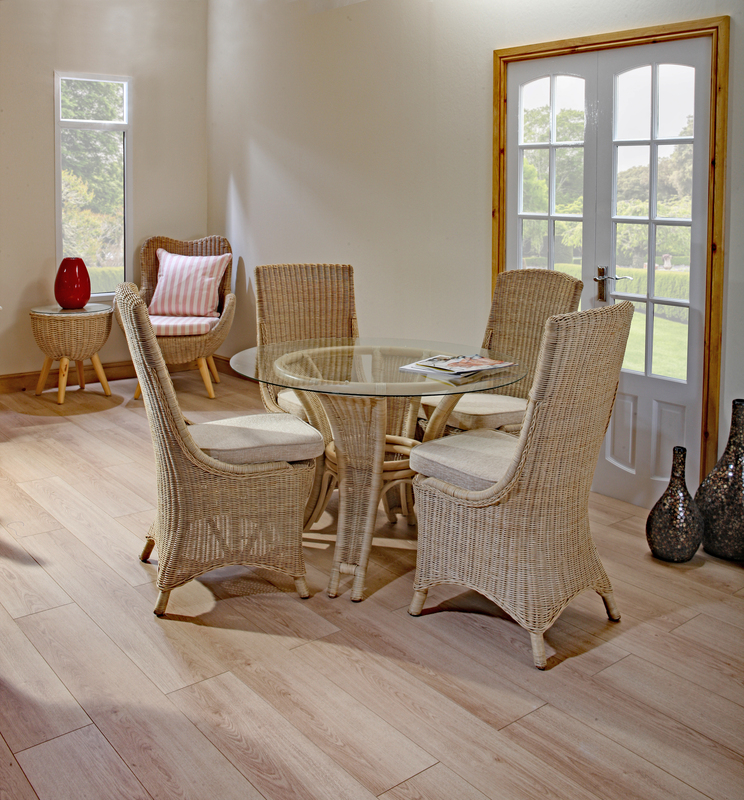 The simple style makes it perfect for modern or traditional homes and you can choose between a range of firm and deep cushioning options depending on your preference. 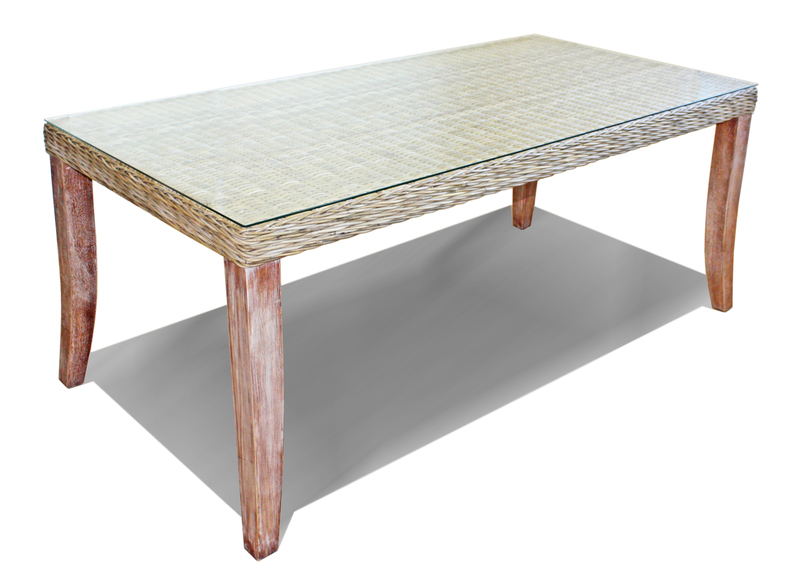 The solid wooden frame, of the chambray dining table, is covered in rattan weaving to ensure the table is structurally strong and aesthetically pleasing. 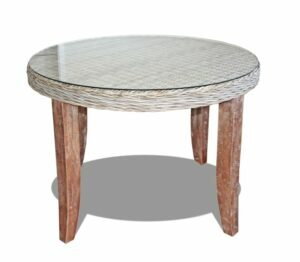 Easy to clean and maintain, it's finished in an almond patina colour with pine wood legs. 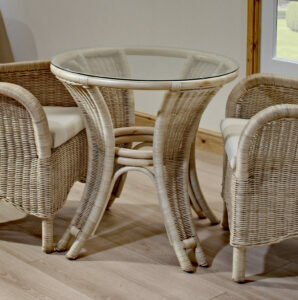 It's the perfect centrepiece for every room and can comfortably seat up to six people. 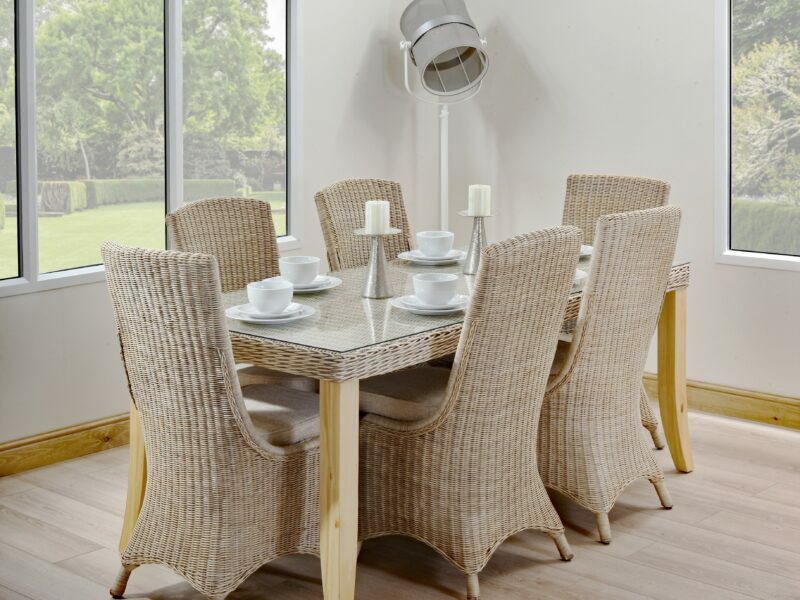 Slightly smaller than our rectangular table, the round chambray dining table seats up to four. 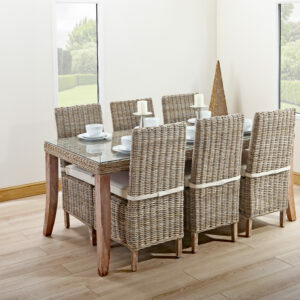 Perfect for a smaller family or a more compact, you can make use of the table in the kitchen, dining room or living room. 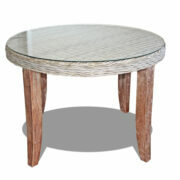 Once again it is finished in an almond patina colour with pine wood legs. The penang dining table can be used as an intimate two-person dining table or as an additional table with the chambray dining tables. 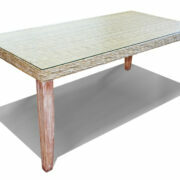 Available in two different sizes, it also comes in an elegant almond patina colour. 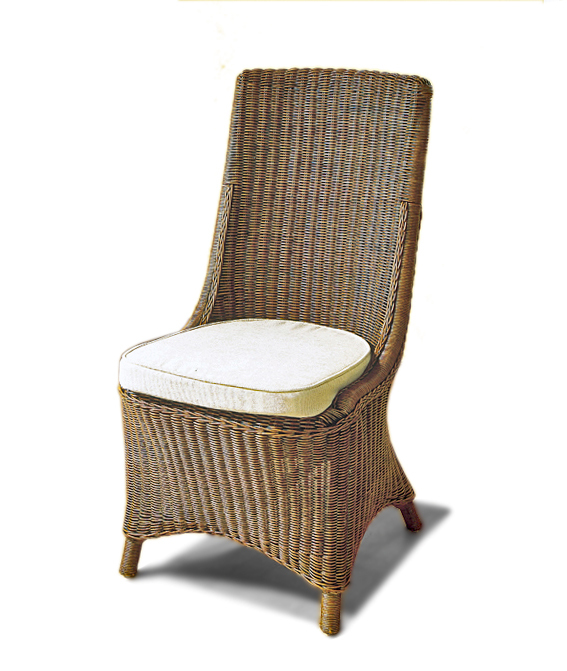 The traditional rattan design, with arched legs makes it a stylish addition to any home. 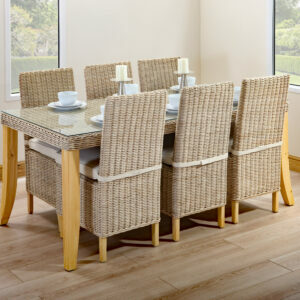 The havana dining set consists of two, four and six seater tables, with comfortable seating options. 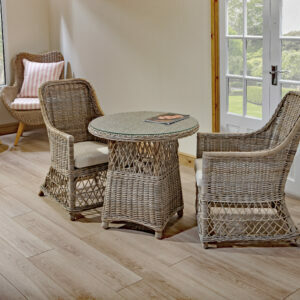 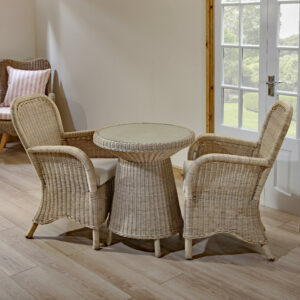 Strong structures combined with traditional rattan designs, ensure that you can include the havana set in modern or traditionally styled homes. 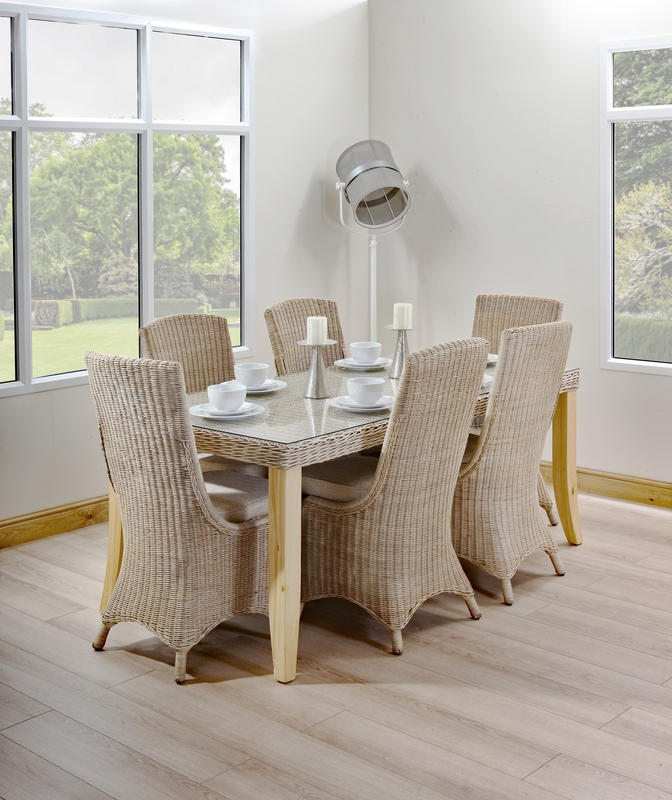 With round and rectangular tables available, you’ll be able to create a compact eating area in a kitchen or a separate larger area in a dining room or lounge. 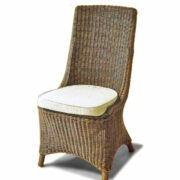 All of the chairs have a variety of cushioning options available to account for those who prefer a deep or firm seat.